This beautiful, classic headband starts with padding the silk to help give 'height' then both pieces are hand braided and wrapped on to a flexible French headband for ultimate comfort. 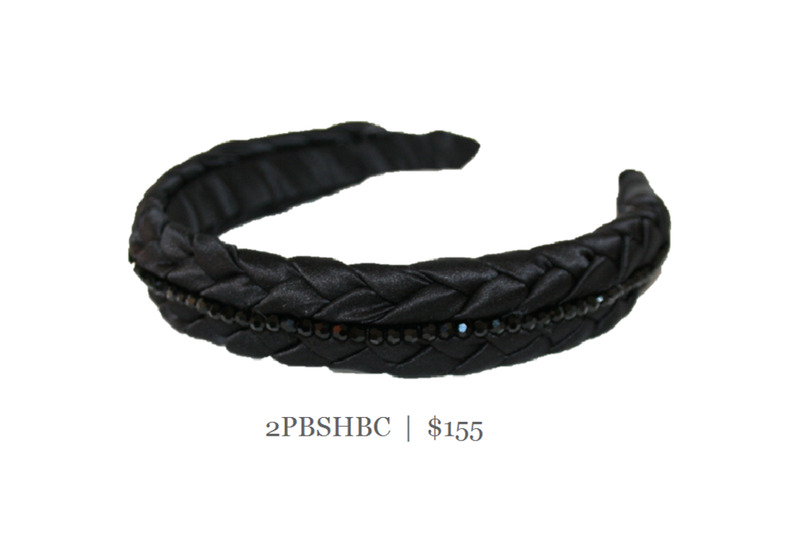 Many sparkling crystals are hand sewn in between the thick braids for that perfect amount of shimmer. Shown here in black/jet.